Top four, the holy grail for so many clubs but especially Liverpool Football Club. After missing out on Champions League football losing to Sevilla in the heart breaking Europa League final last season, Liverpool have had to start from scratch and make sure they make that top four come the end of the season, and so far, they are right in the mix. The last time Liverpool were in the Champions League, the club finished second-place in the 2013–14 Premier League campaign and were into the group stages of the Champions League in 2014-15. They returned for the first time since the 2009–10 season. Although, one win out of six in the group stages meant they were eliminated from a group which consisted of Ludogorets, Basel, and Real Madrid. Liverpool entered the knockout phase of the 2014–15 Europa League who then got knocked out by Beşiktaş in the Round of 32. An abysmal campaign in Europe for the Reds and one to certainly forget. As we all know, Champions League opens up so many more doors for football clubs and it will certainly without a doubt help Liverpool become the giants they once were, especially under the helm of Jürgen Klopp. When Liverpool had successfully rejoined the Champions League their transfers did not look great and had not boded well by the Liverpool faithful. Below is a table showing all the signings and price tags from that season. It personally does not show for great reading. Only Adam Lallana, Emre Can, Dejan Lovren and Divock Origi make the first team these days. That is only 50% of the signings that have been able to breakthrough and stake a claim, which is poor given the money that Brendan Rodgers had to spend; over 100 million. Yes, they did sell their talisman Luis Suarez, but major mistakes were made in trying to use the sale money to invest in the team. To sum up Liverpool’s last Champions League campaign, this was the team that went to the Bernabéu in the Champions League Group Stages, which makes you want to honestly cry. Under Klopp though, it should be a different story. With a good track record in the transfer market, Liverpool supporter will be hoping that he can produce more Sadio Mané esque signings come the summer but also some of the magic he produced at Borrusia Dortmund. We’ve seen during the transfer windows that Klopp will only go for players who want to play for the club, hence not pursuing Mario Gotze or Julian Draxler, instead opting for Gini Wijnaldum and Sadio Mané two signings that have turned out to be brilliant additions to the squad, particularly the latter. This summer will prove pivotal for Liverpool and the owners, Fenway Sports Group. A lot of talk has been going around that FSG will back Klopp this summer transfer window. With tensions high between some of the Liverpool faithful towards the owners, FSG must prove that they are ambitious, to the supporter’s and towards Klopp in whatever he may pursue. FSG have been here for seven years and have only seen the club win one trophy in that time. That is I’m afraid shocking, but this summer with the help of Klopp, FSG need to prove their indications for the club and back Klopp with whoever and whatever he wants to bring in. However for the first time in a while, you feel that the club will actually be doing some shrewd and positive business in the summer under Klopp. The man who has a massive reputation in the transfer market will want to build something special at the club. You look at Klopp’s purchases at Borrusia Dortmund and have to just applaud the German. Below is a table of some players he bought while at the German club and how much he paid for them. Klopp worked wonders in the transfer market on the whole, especially when it came to developing young players. He signed the likes of Lewandowski, Reus, Hummels and Gundogan when they were either in or barely out of their teens, and helped make them the world-beaters they are today. This further proves that Liverpool supporter’s should put faith in Klopp to bring in the quality needed to compete this summer. A mixture of young prodigies should be on the agenda but experienced world class players are the key to winning games and trophies but also satisfying the fans. Marquee signing. 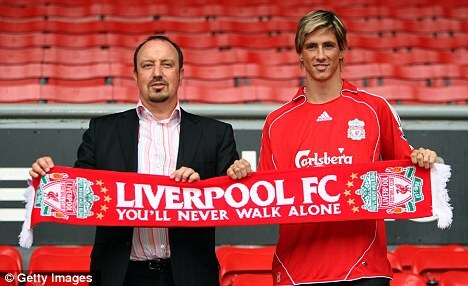 The last time Liverpool had anything close to a ‘marquee signing’ was arguably Fernando Torres in 2007 from Atletico Madrid. 10 whole years ago. That is upsetting for a club of Liverpool’s stature. Some may say Luis Suarez, but in my honest opinion he was a not a big name while playing for Ajax in the Netherlands, he created his name at Liverpool. A statement needs to be made this summer transfer window. Liverpool supporter’s are not expecting Neymar to be joining anytime soon but a player who will take the club to the next level, one that will prove to world football that Liverpool mean business and are back for good. That could mean breaking the bank for an Aubameyang type player, but it is something the club must do. The club also needs to strengthen in terms of building a squad with depth. Bringing in one or two big names is fine and well but if Liverpool are to compete for every trophy, the squad needs a massive clear out but also new recruits, desperately. The bench against Burnley sent Liverpool fans into meltdown. This included Karius (23), Moreno (24), Lucas (30), Woodburn (17), Wilson (19), Alexander-Arnold (18) and Gomez (19). Now you look at that and immediately think, we’re not capable of winning the league with that bench. You simply cannot rely on seventeen or nineteen years old players to win you games. It is nice to see the academy players coming up the ranks but we also need established players coming off the bench. Yes, some first team players were injured but is that a valid excuse? We cannot rely on one or two players, Klopp needs to see that and realise it. In my honest and brutal opinion, Klopp did not handle the January transfer window correctly. Now as much as we all adore him, he has made mistakes. Klopp had the chance to sign a few players in January to help us out while Mané was at the AFCON but decided not too. This was a major fault and saw Liverpool slip out of the title race and now fighting for a top four finish. Although still in the top four at the moment, Liverpool’s squad is so thin that one or two injuries to crucial players and it could all spiral out of control again, like it did earlier in the season. Top players want Champions League, and who can blame them? After this years brilliant Champions League knock out stages, seen by millions of people, everyone wants to be part of that, hence the importance of finishing in that top four. The difference finishing in the top four and not is massive, the difference in caliber of player is also massive. Liverpool must make sure they finish as high as possible and get that all important Champions League spot. Highly respected journalist’s have indicated that they would expect Klopp to improve the squad massively this summer, with key areas being strengthened and FSG backing the manager. Liverpool have been rumored to be in contention of signing some very good players come the summer transfer window. 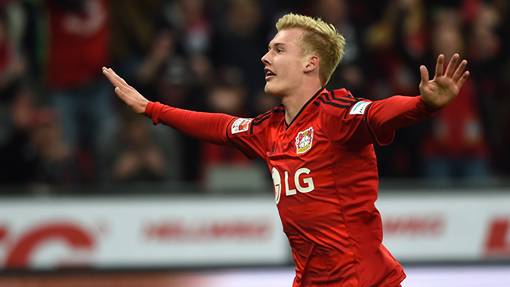 These include the likes of German Julian Brandt with Klopp being a massive admirer of the 20 year old. Brandt has been capped by Germany at every level from under 15 to under 21. Although signs of Bayern Munich interested, I personally would rather be linked with players that Bayern are attracted to than clubs in the bottom half which has happened very often the last few years. Other names include Timo Werner, Naby Keita, & Alexandre Lacazette just to name a few. Liverpool are the ninth richest club in world football believe it or not, so money should not be a problem. In this day and age football is about money, wages and sometimes paying over the top, which Liverpool must do to secure top players. It really is very simple, top players guarantee success. This year was the chance Liverpool had to focus on the domestic competitions with no European distraction and MUST take it. With only a couple more games left of the season and no cup competitions, Liverpool must put in 100% and make sure the club finish in the Champions League places. A lot hangs on top four, if Liverpool manage to finish in it, it opens more opportunities for big players to come in and a place in the Champions League with Klopp at the ready to hopefully splash the cash in the summer and a chance for Liverpool Football Club to start dominating world football once again.